The first of its kind, an in-depth on-line Diploma programmes on Buddhist Studies and English through Buddhism to be offered from Sri Lanka will be available to all from the 1st of November 2009. This is a joint effort by the Ministry of Higher Education and The Damrivi Foundation, under the Distance Education Modernization Programme of the ministry. A sample site for all to try out free of charge is now available at their website http://damrivi.nodes.lk/ Structured on a par with other international teaching sites, the site has links to many resources - dictionaries, Tipitaka , web sites, etc. The programms will be of particular interest to those who wish to learn Buddhism systematically and in-depth, to Buddhist social workers and to Buddhist monks and nuns. 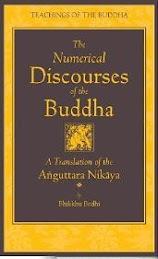 Clergy of other religions may well find it an interesting way to come to know Buddhism better too. The Course Director for the two programmes is Prof. Asanga Tilakaratne, Ph.D, Professor of Buddhist Studies, University of Colombo and Chairman, Damrivi Foundation. The course coordinator is Yuki Sirimane, Ph.D, Director Operations – Damrivi Foundation. 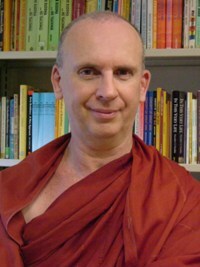 Lecturers for the Buddhist Studies programme include Professor Oliver Abeyanayaka, Ph.D, formerly of the Postgraduate Institute Pali and Buddhist Studies, University of Kelaniya); Professor P.D. Premasiri, Ph.D, formerly Head Buddhist Studies Department, Peradeniya University; and Prof. Asanga Tilakaratne. The English through Buddhism Programme is conducted by English lecturers from leading Colombo Universities. The Damrivi Foundation is a not for profit organization of academics and professionals for social economic and spiritual development through Buddhist insights and is accredited by the Tertiary and Vocational Education Commission of Sri Lanka ( TVEC). Damrivi has designed and implemented several other innovative educational programmes including a Diploma in Psychological Counselling with Buddhist Insights. It also mangers of the popular web site on Theravada Buddhism - Beyond the net, attracting 200000 hits a month from 97 countries. 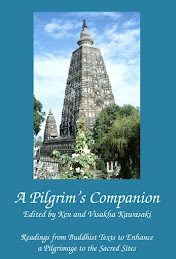 The Buddhist Diploma programme and the English through Buddhism program can be easily accessed from home by all those who have ADSL connections. For others, the Sri Lankan Government has set up NODES Centres which would be free of charge upon registering with the course. The lessons will be released on a systematic basis and participants will have access whenever convenient, day or night. All assignments would be marked by the lecturers and progress monitored on a continuous basis. Presented in an interactive mode, using audio, video, video discussions, on-line group discussions, chat sessions, individual and group assignments, the lessons are designed to avoid the high drop-out rate of most online courses. The abundant learner support systems and the interactive presentations will hold the student’s interest for the full duration of the course. The language course in particular has been formulated with language exercises such as, cross words puzzles, true or false questions, matching exercises, filling in the blanks, comprehension questions and essays. Developing correct pronunciation and the ability to converse has been taken care of with the recording of the student’s voices for the teachers to listen and correct. In other words, the program will have all the benefits of face to face class participation without the inconvenience of having to come in at a particular time as one would for regular classes but be able to use this site as one would use any other site on the web. 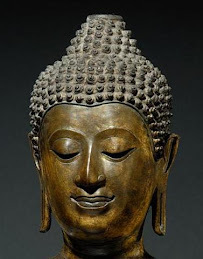 The Diploma in Buddhist Studies consists of five courses - Introduction to Buddhism, Basic Teachings of the Buddha , Buddhist Social Thought, Buddhist Ethics and Mind Culture. The Diploma in English through Buddhism, consists of Grammar and Style, Reading and Writing, Listening and Speech, Introduction to Literature and Contemporary topics. Upon following the programmes for two years A Diploma Certificate will be awarded after an examination. Orientation sessions will ensure that the students get familiar with how to navigate through the lessons and how to engage in the course work. 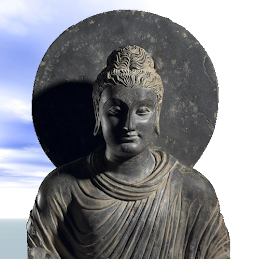 IBC E-Learning MA program for Buddhist Studies is based on IBC MA Program (36-credits). It is course-based (8 courses, 3 credits per course) with a thesis (about 25,000 words, 12 credits). http://ibc.ac.th/en/graduate. The MA program’s duration is three years. Individual e-tutorials will be available to all students. The core module consists of eight subjects, an individually supervised thesis of 25,000 words, and one Comprehensive exam at the end of the course. * The Postgraduate Advanced Diploma Certificate after completing the second year (total of 24 credits). Ven Anandajoti, I love your site!